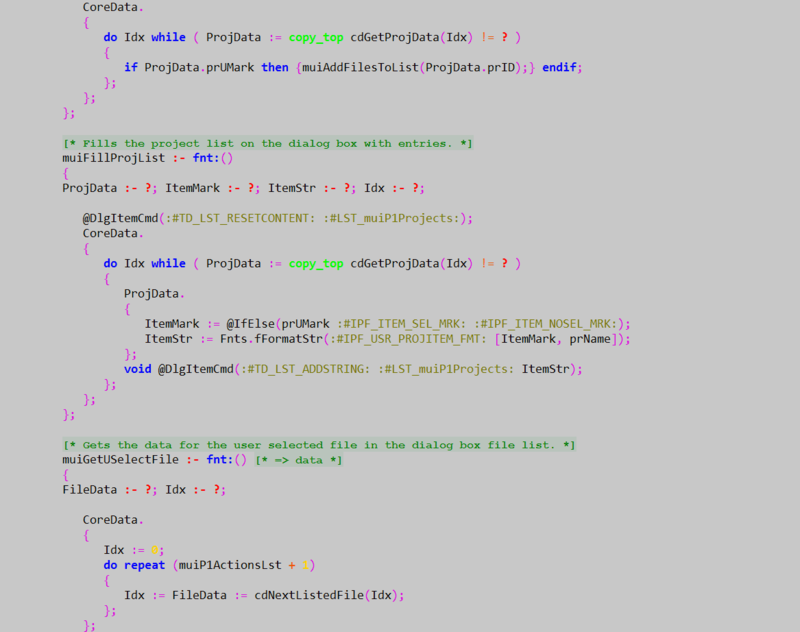 This page contain screen shots and other pictures relating to the ETAC programming language. The images below can be clicked to see the full picture. 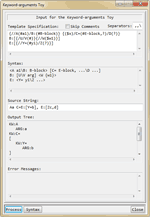 The following screenshots show an ETAC text script sample as it appears in the Notepad++ program (available free from the World Wide Web), an ETAC debugging session, an ETAC Compiler syntax checking session, and the ETAC Compiler arguments file editor window. 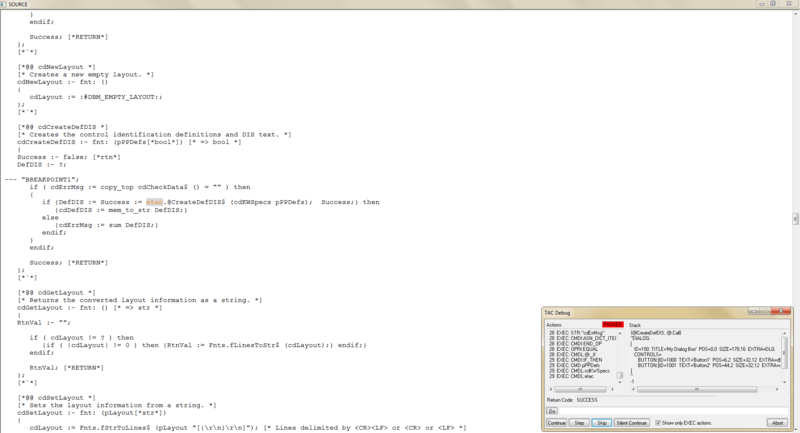 ETAC text script as it appears in the Notepad++ editor (third-party product). 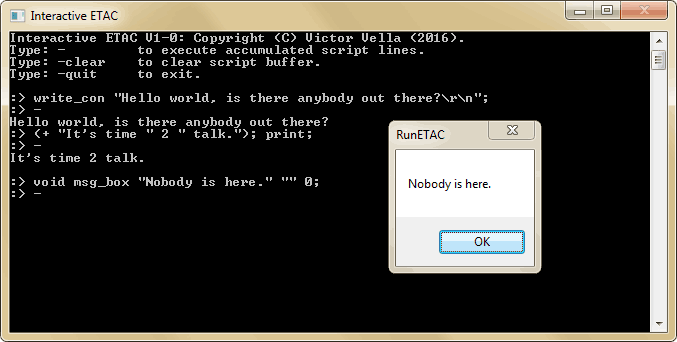 An ETAC debugging session showing the trace and debug windows. 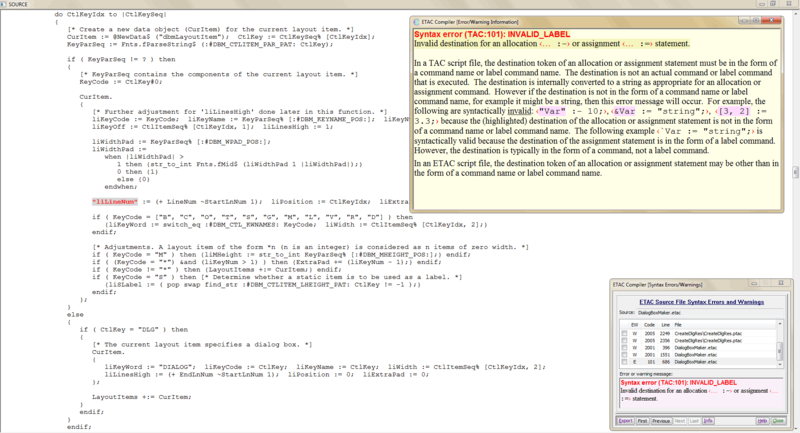 An ETAC Compiler syntax checking session showing the source file, compiler, and error/warning windows. 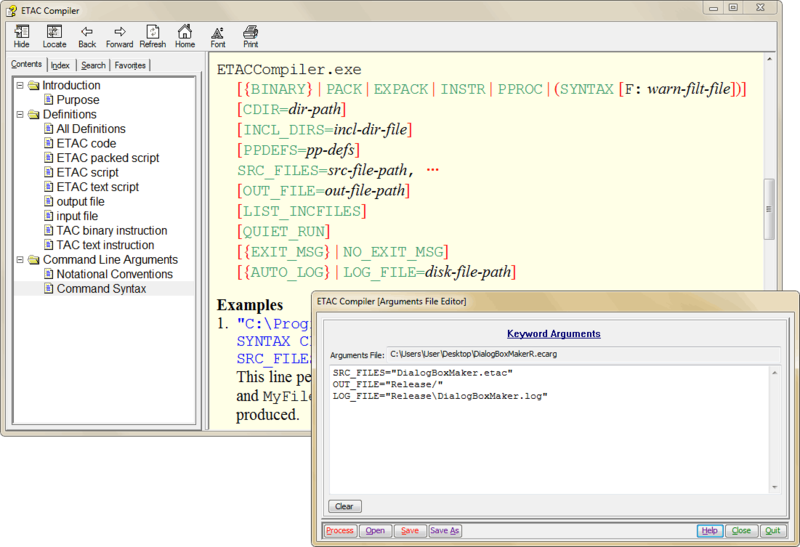 ETAC Compiler windows showing the command-line help file in the background, with the arguments file editor window in the foreground. 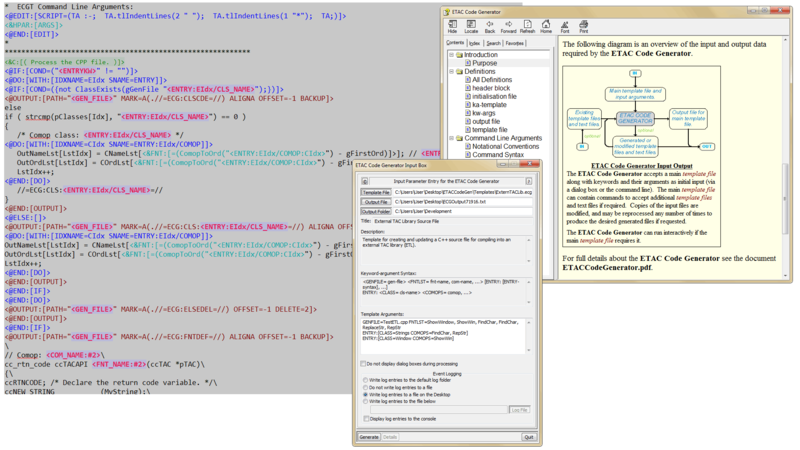 The following screenshots are of the ETAC utility programs included in the ETAC package. 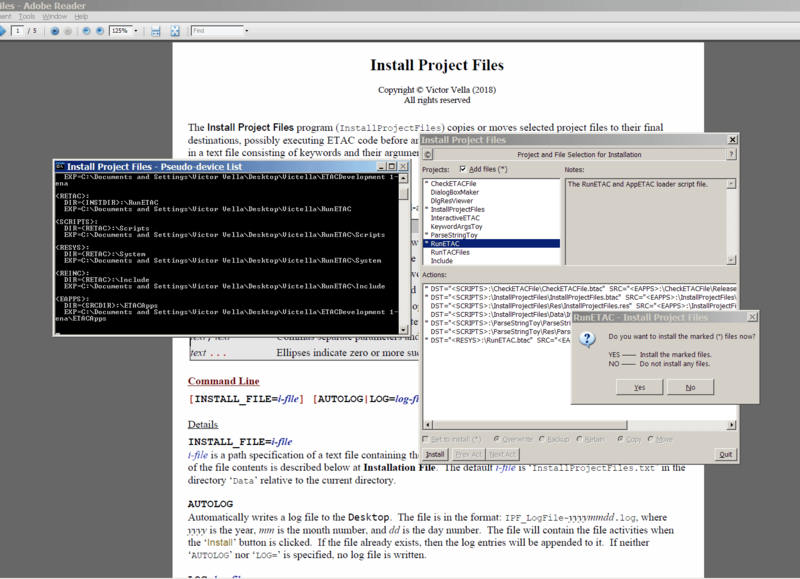 Dialog Box Maker windows showing the help document in the background, with the main window and a user-created 'Demo Box' dialog box in the foreground. 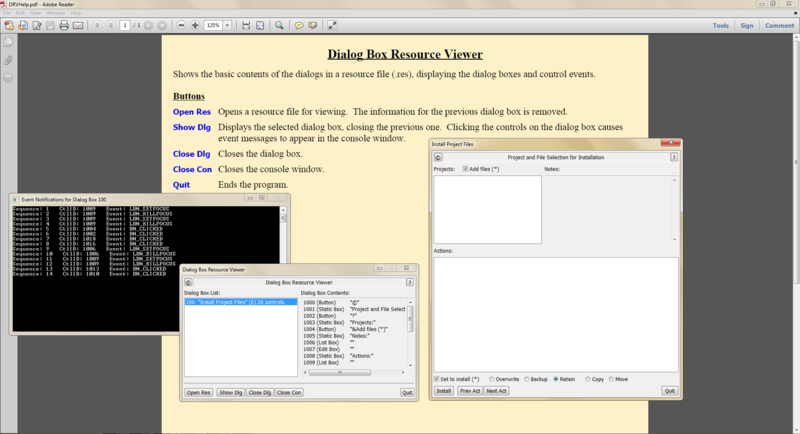 Dialog Box Resource Viewer windows showing the help document in the background, with the main window and the selected dialog box along with the event notification messages for that dialog box. 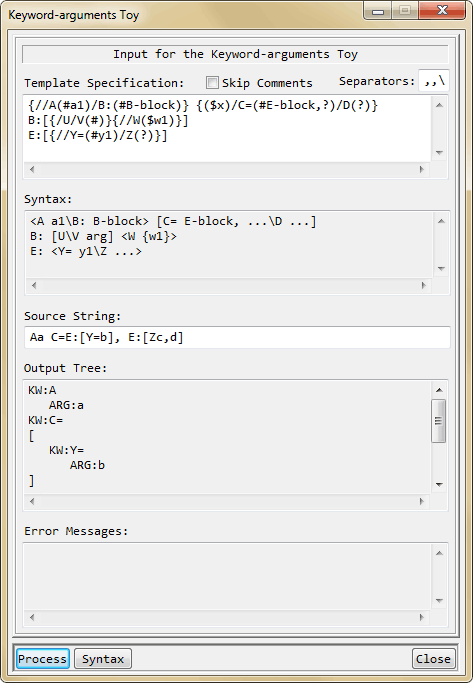 Interactive ETAC window showing the effect of ETAC script typed into the window. Keyword-arguments Toy showing the main window. 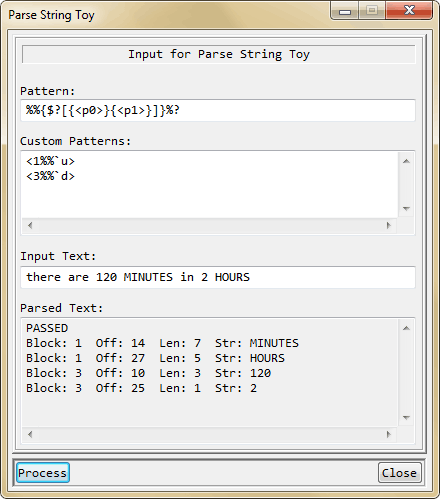 Parse String Toy showing the main window. Install Project Files windows showing the help document in the background, with the main window and the console showing a list of pseudo-device names. The message box appears when the 'Install' button is clicked. 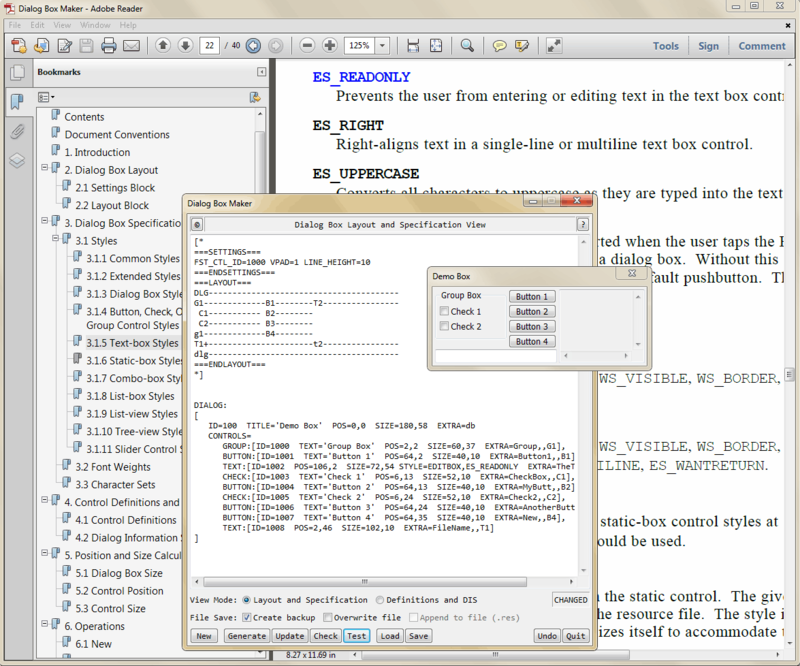 ETAC Code Generator windows showing a template file as it appears in the Notepad++ editor (third-party product) in the left background, and the help document in the right background, with the main input window of the ETAC Code Generator in the foreground.